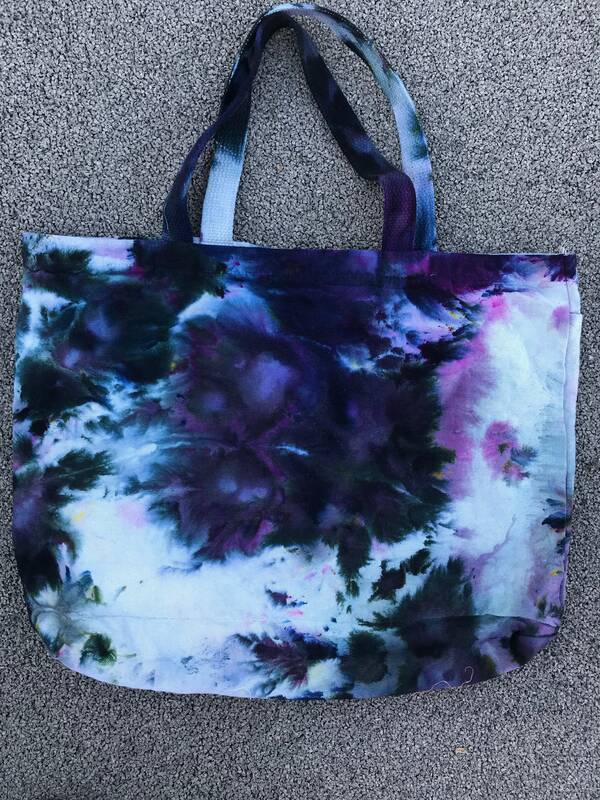 Ice dyed tote bag - 18" wide x 16" tall with 5" wide sides. Straps are 20" long. 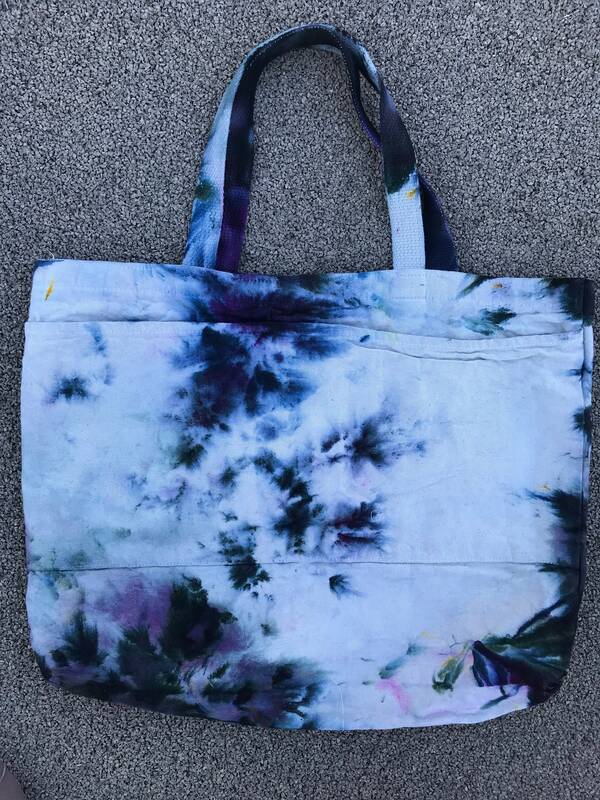 Looking for a market bag? 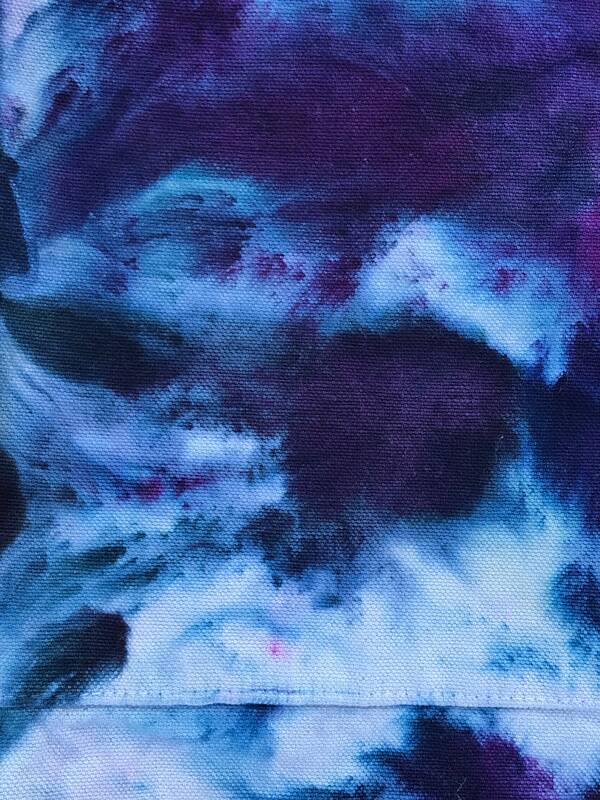 This super sturdy cotton duck tote bag has been ice dyed in varying colors of dark purple. 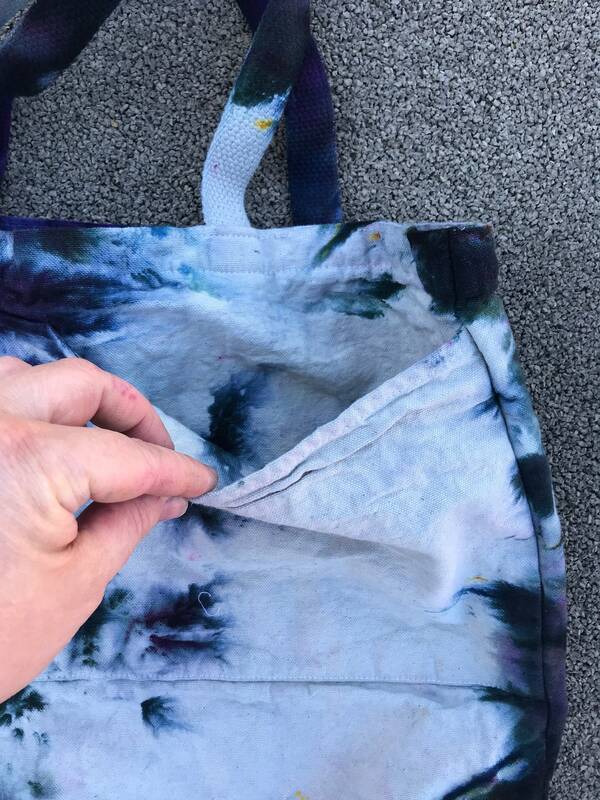 It has two pockets on the outside, perfect for carrying extra items such as a tablet, wallet, whatever your heart desires! 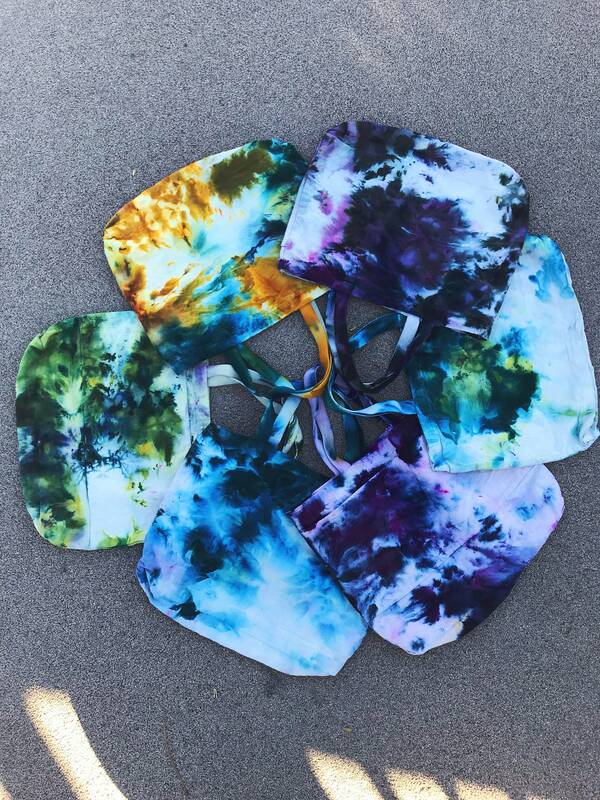 The tote is completely color fast, so care is very easy and the bag is washable.